FRAMED: No, but ready to hang! 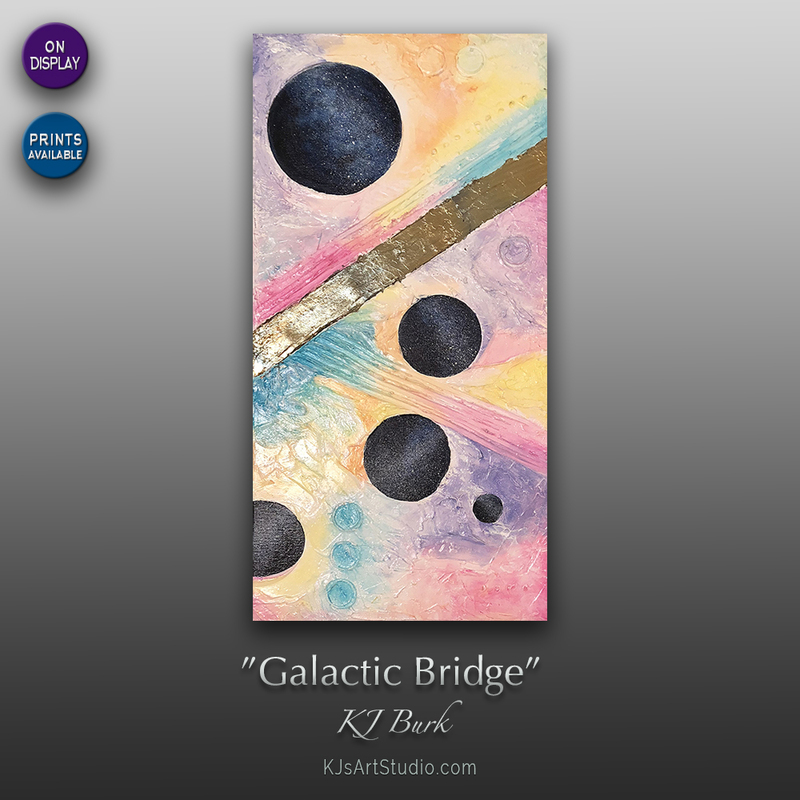 DESCRIPTION: “Galactic Bridge” is a heavily textured abstract painting signed and dated on the back by the artist. “Galactic Bridge” is now on display at Roxy’s Art Gallery of Local Art Expressions on Spring Street in Eureka Spring, AR.